A good Disney film can really brighten up your summer, so we’re excited for Christopher Robin to arrive on August 3. The film is based on the classic Winnie the Pooh story and follows Christopher Robin, who, as a child, formed a special relationship with Pooh, Tigger, Piglet and Eeyore. But the grown-up Christopher has lost his sense of wonder. Unwilling to let their former friend live a dull life, Pooh and company try to help Christopher find his imagination once again. Christopher Robin is directed by Marc Forster, with the screenplay written by Alex Ross Perry and Allison Schroeder. It features a lineup of fine actors, many voicing CG-animated characters. Let’s get to know the cast of Christopher Robin. 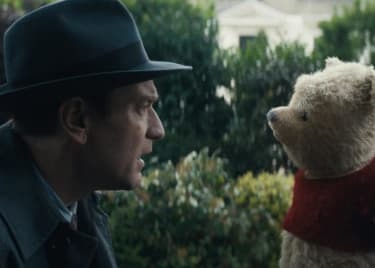 Ewan McGregor plays Christopher Robin, a well-to-do businessman who was incredibly imaginative as a child, but has since lost his way. The character was initially created by A. A. Milne as an integral part of the Winnie the Pooh stories. 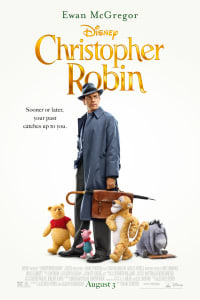 Milne based the character on his own son, Christopher Robin Milne. McGregor is a renowned actor, having appeared in films including Moulin Rouge! and Trainspotting. For some audiences, he’s best known for his portrayal of Jedi Obi-Wan Kenobi in the Star Wars franchise. Hayley Atwell plays Evelyn, Christopher Robin’s wife, who seems less than pleased that her husband puts work before family. Atwell is best known for her portrayal of agent Peggy Carter in the Marvel Cinematic Universe, a role she first played in Captain America: The First Avenger. In addition to playing Peggy in several MCU films, Atwell starred in two seasons of the standalone Agent Carter TV series. Outside of the Marvel world, she has had roles in The Duchess and Cinderella. She recently played the leading roles in TV series Conviction and Howard’s End and was also featured in a critically acclaimed episode of Black Mirror. 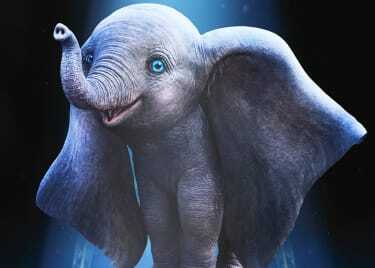 Jim Cummings lends his voice to not one, but two of Christopher Robin‘s animated characters. 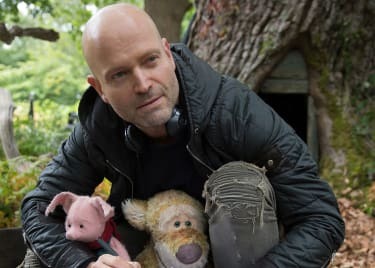 He voices both Pooh and Tigger, and while this might seem odd, Cummings has been voicing these two characters in projects since the late ’80s. In addition to his work in the Winnie the Pooh franchise, Cummings has also lent his voice to characters such as Darkwing Duck, the Tasmanian Devil and Dr. Robotnik from Sonic the Hedgehog. Brad Garrett voices Eeyore, a toy donkey who talks with a deep and depressed voice. As of yet, we don’t know how big Eeyore’s role in the story will be, but he does make a few appearances in the trailer. Garrett has lent his voice to numerous animated characters over the years, including Bloat in Finding Dory, Easter Island Head in the Night at the Museum franchise and Gusteau in Ratatouille. In addition to his voice work, Garrett is known for his regular role on Everybody Loves Raymond, in which he played Robert Barone. Toby Jones voices Owl, the Wiseman of the Hundred Acre Wood. The English actor is known for performances in The Mist, Frost/Nixon and Captain America: The First Avenger. Jones has also appeared in television series including Agent Carter, Titanic and the Fox series Wayward Pines, in which he played one of the central roles. British actor Nick Mohammed voices Piglet. Piglet is one of Pooh’s best friends, and we can see in the trailer that the character will be present during some of the pivotal scenes. Mohammed has had parts in several British TV shows, including Drifters, in which he recurred throughout the entire series. He also starred in The Job Lot. More recently, he was featured in the BBC/Netflix drama Collateral. Peter Capaldi voices Rabbit. Very little is known about the role Rabbit will play in the story, but we do know from previous Pooh adaptations that he is one of Pooh’s best friends. Capaldi is arguably best known for his work on Doctor Who, in which he played the 12th incarnation of the central character. (Jodie Whittaker just took over the role from Capaldi.) The celebrated actor is also known for his work on the BBC series The Thick of It, which was the inspiration for HBO’s Veep. Bring your friends to see Christopher Robin at AMC, opening August 3. Get your tickets today.